This tote features Sawyer’s Hide Your Ghost Album Art by Artist Nina Pfeiffer, sublimation printed on the front, back and sides of the tote. The Tote features Sawyer’s name printed in his iconic font on the fold of the gusset on one side. 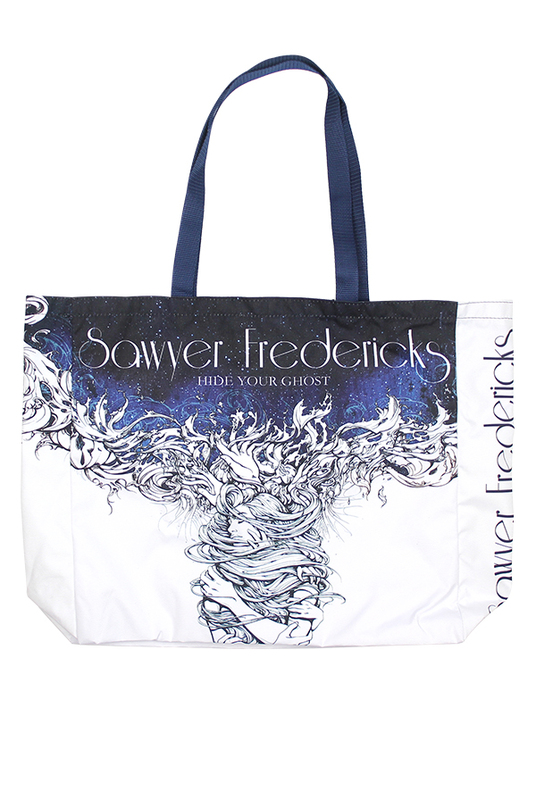 The tote is generously sized 18”W X 16”H X 4.75D, large enough for your Hide Your Ghost Vinyl LP! with plenty of room for your Hide Your Ghost CD and T-Shirt. Woven handles in Navy. Made of 100% Polyester. Made in the USA.